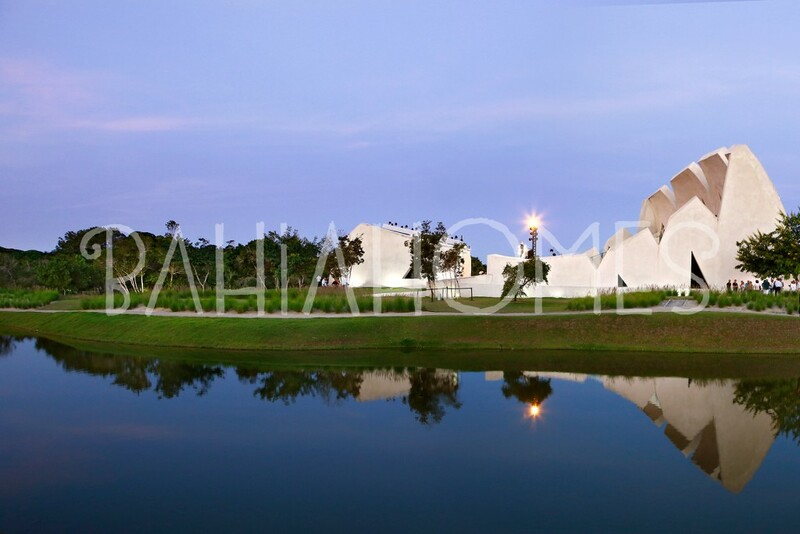 A PLACE WITH ITS OWN ESSENCE. 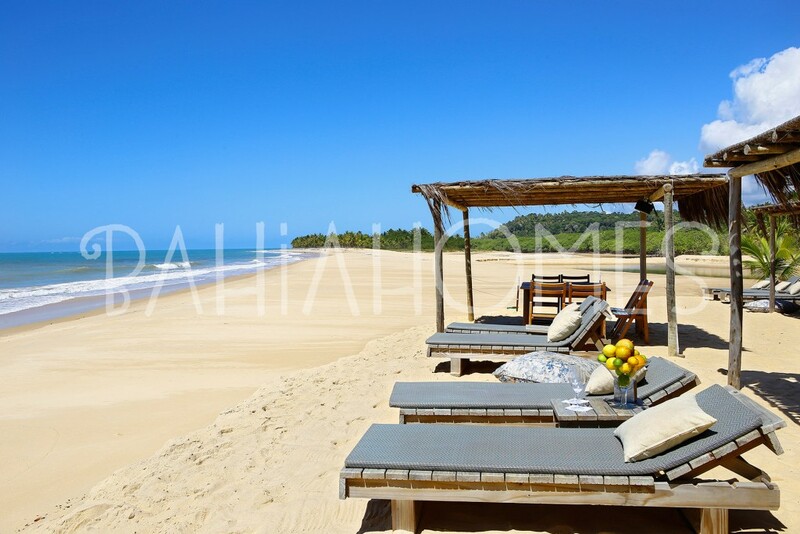 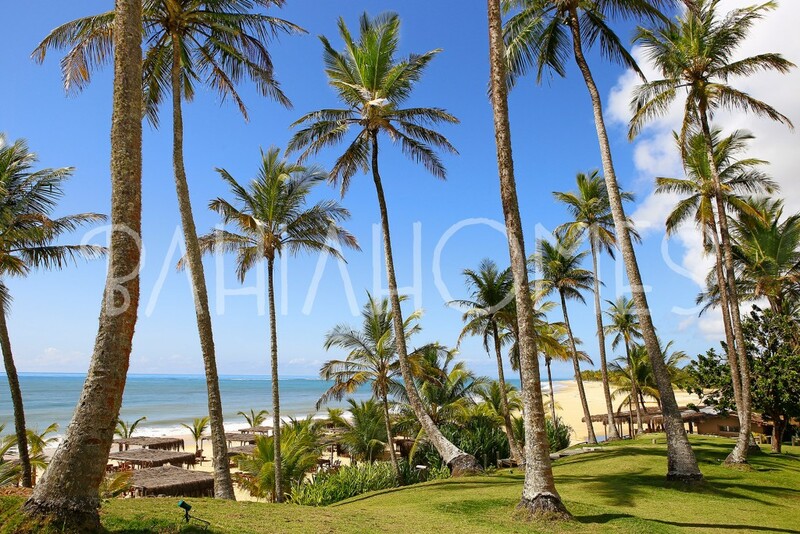 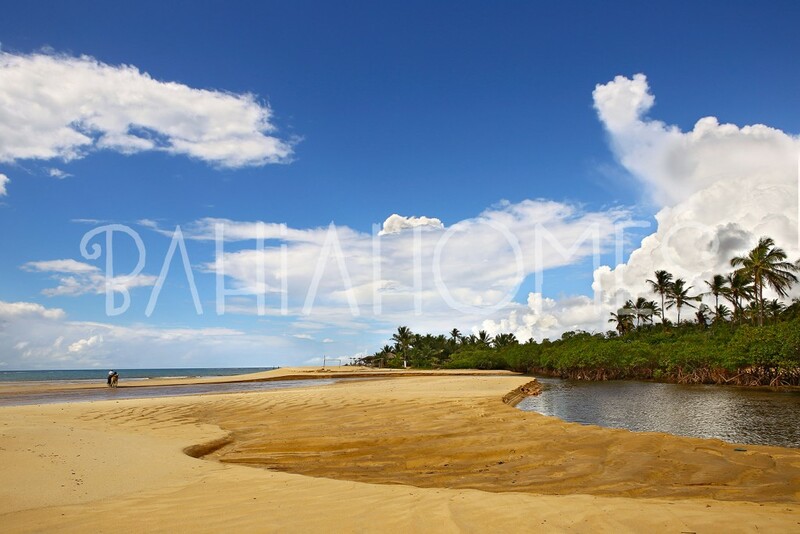 Trancoso, situated on the Southern Coast of Bahia, is the highlight of the Discovery Coast. 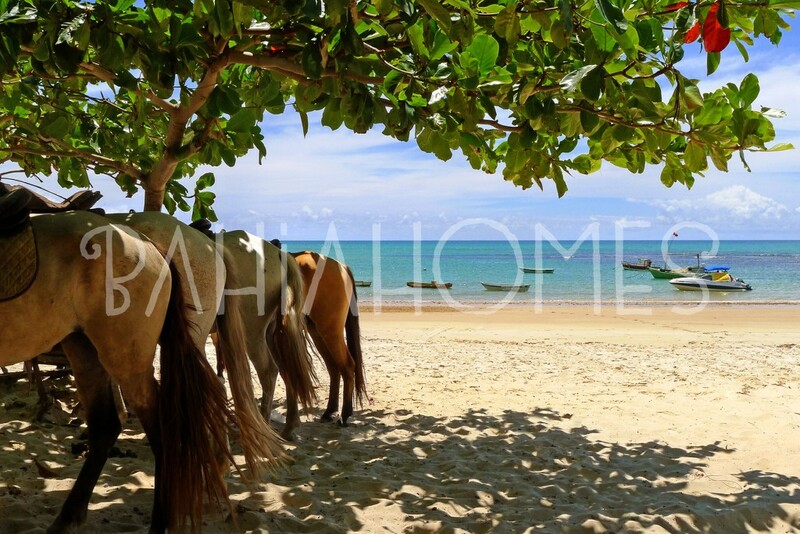 Visitors are surrounded by reserves and parks, turquoise blue sea, soft sands, natural pools, coconut trees, cliffs, Inns, hotels of the highest standart, traditional villages, history, culture and various sports and leisure facilities. 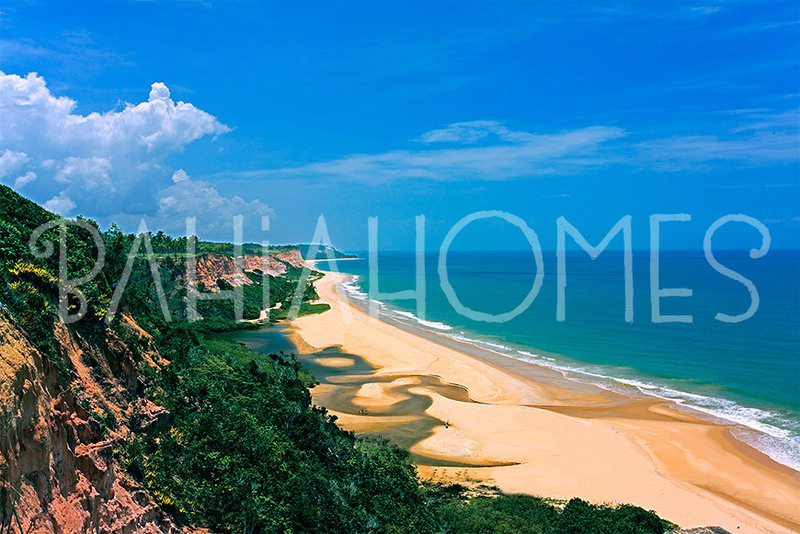 All these make this traditional fishing village one of the most exclusive and desirable tourist destinations in Brazil. 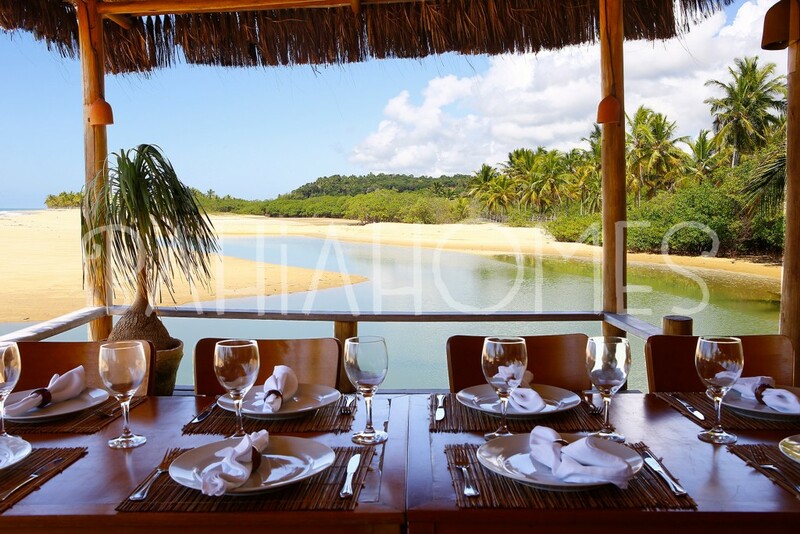 The unique charm of Trancoso, however, is how the modern and the old coexist harmoniously, preserving and valuing the traditional roots of the area. 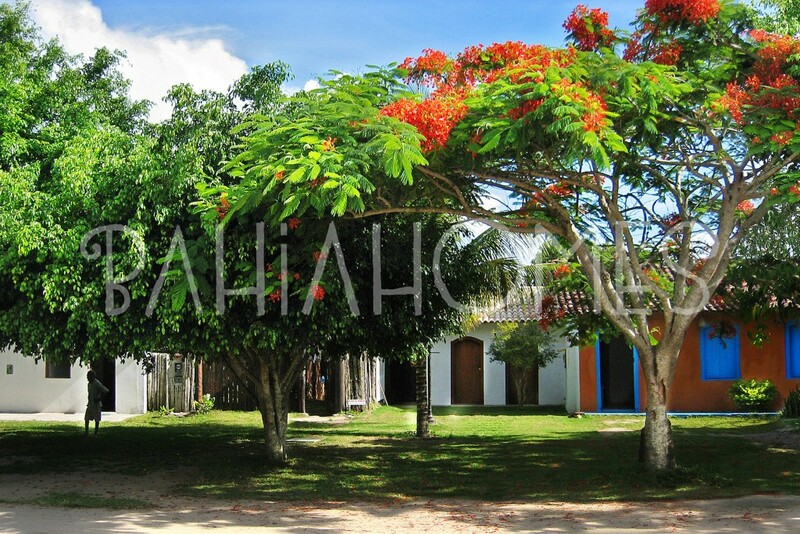 This is experienced at the famous Trancoso Square, a grassy rectangle including at one end, the Church of St. John the Baptist which is flanked by lines of low terrace houses. 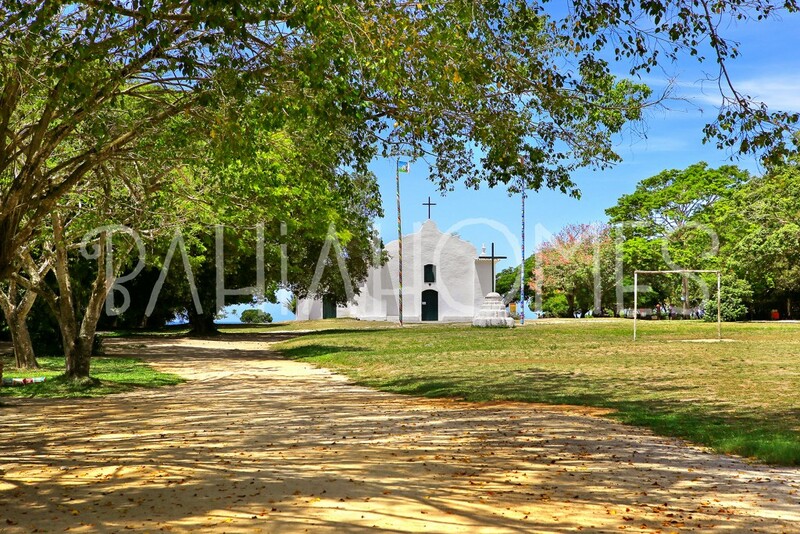 When the sun sets, the magic starts and the historical setting turns into the most cosmopolitan area on this part of the coast. 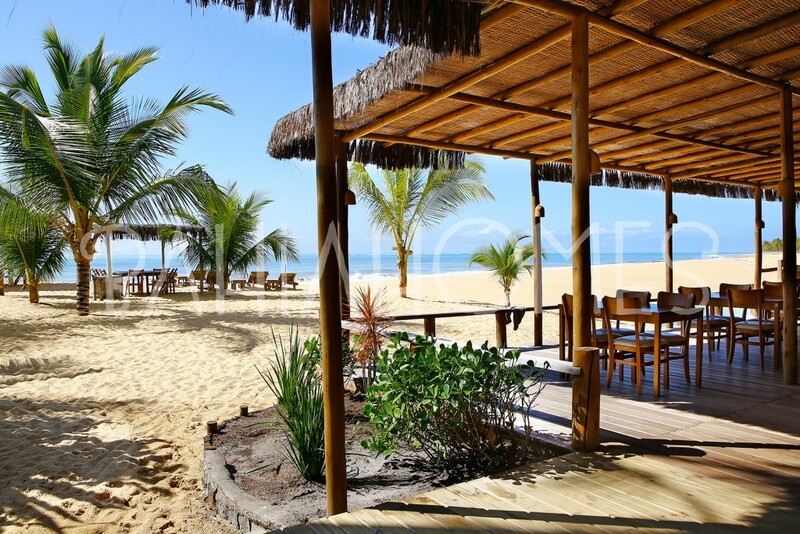 Behind the simple traditional houses, award-winning restaurants, shops with exquisite goods and lively bars are revealed. 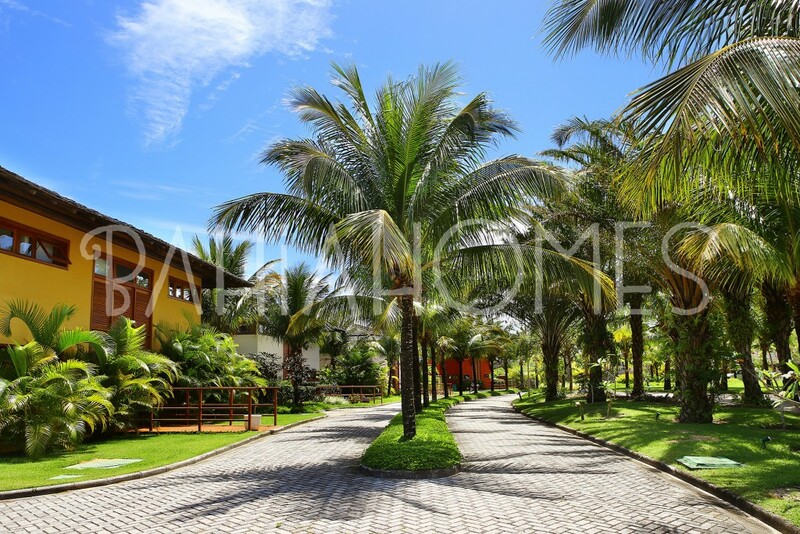 People from all parts of Brazil and the world come and go, mixing with the natives. 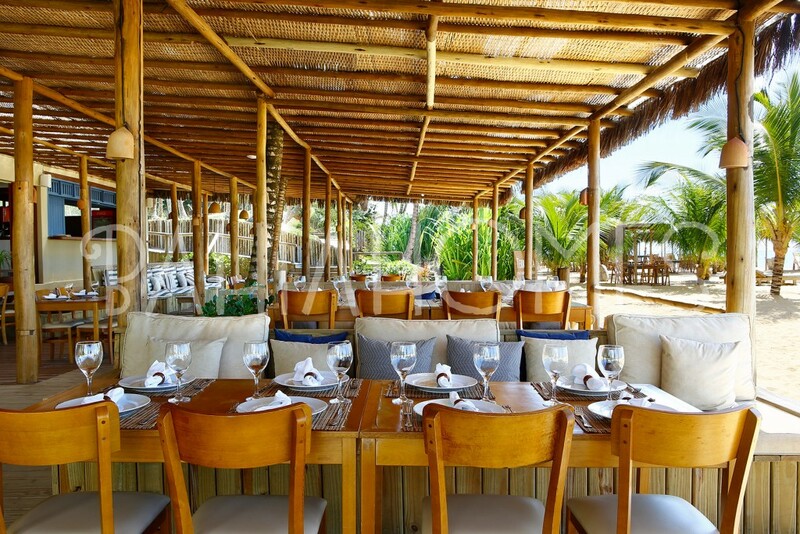 The music, gastronomy, chatting and laughter continuing through the night under the dim light of lanterns contributing to the idyllic essence of Trancoso. 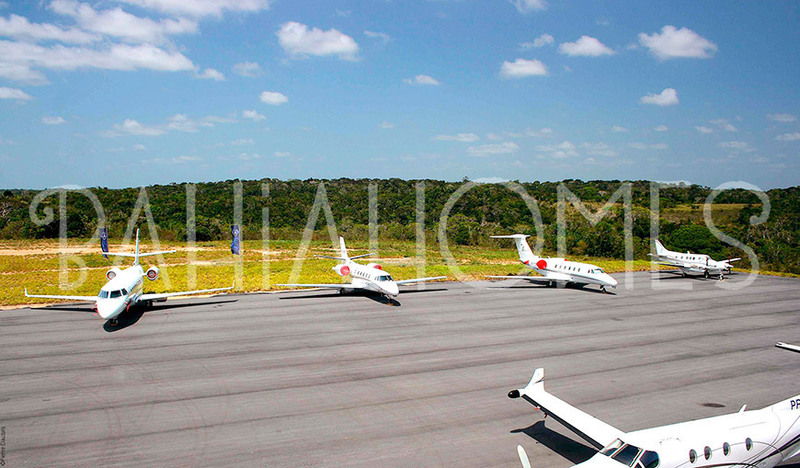 A DIFFERENTIATED ENTERPRISE, EXCLUSIVE, ABSOLUTE. 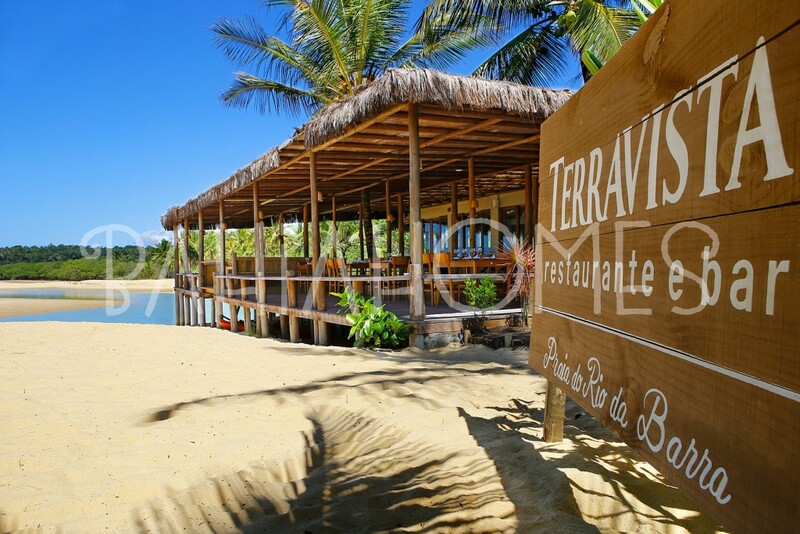 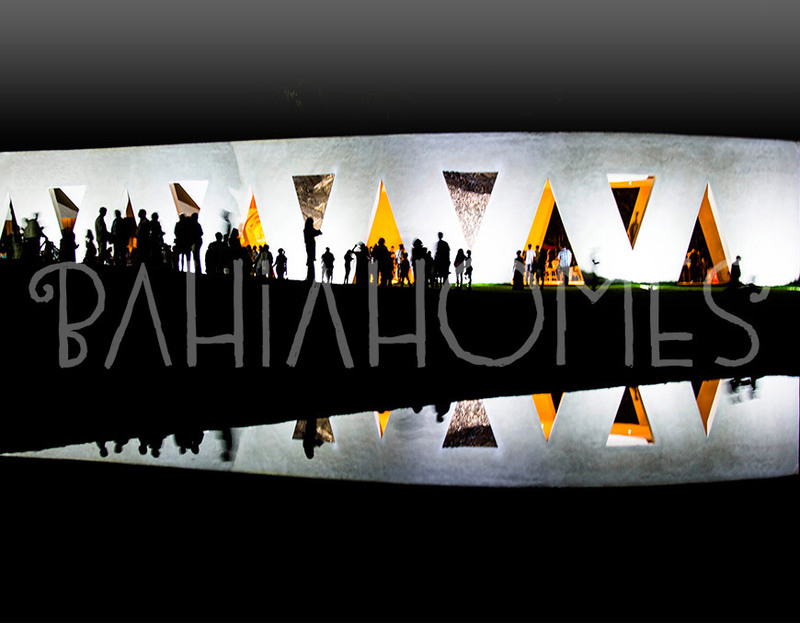 Terravista is one of the most famous and successful tourist developments on the Brazilian coast. 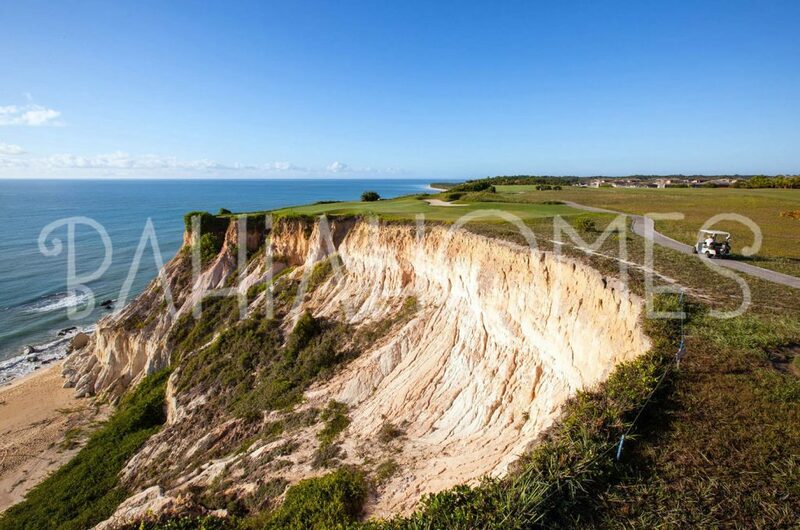 1,100 hectares on the fringe of the multi-coloured cliffs with at its base the beautiful beaches of Rio da Barra and Taipe, combine to create a location of rare beauty. 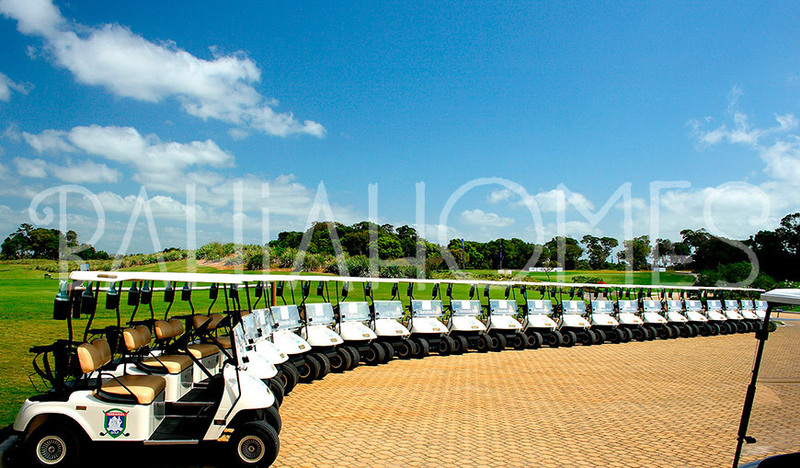 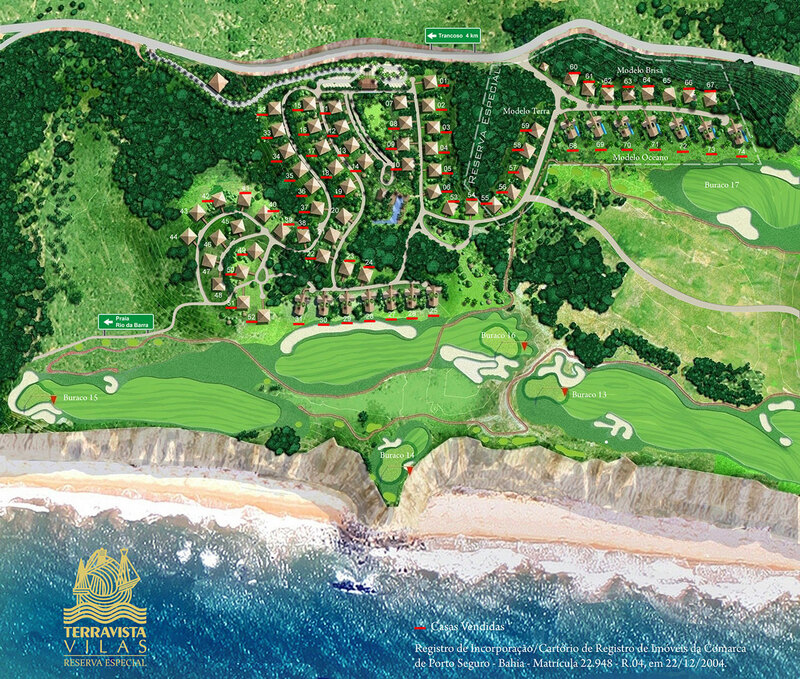 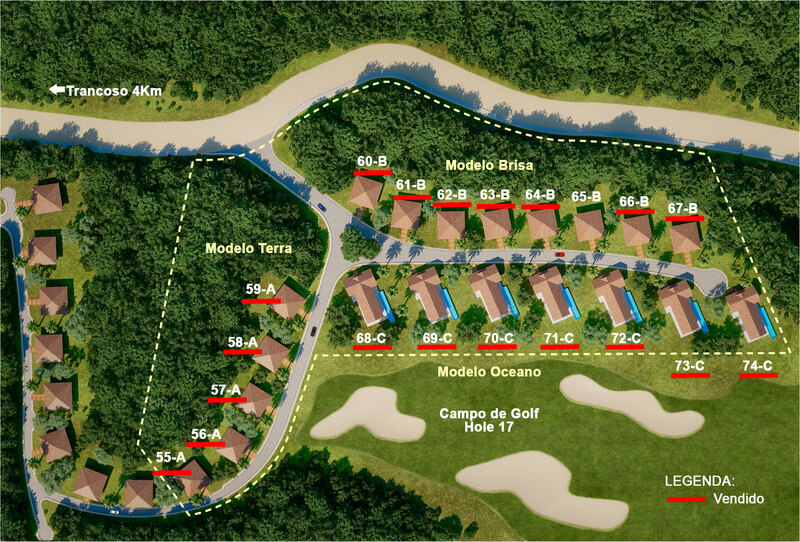 This generous area, integrates native woods, fine hotels, residential villas, swimming pools, sports courts, bars, restaurants, an amphitheatre for 1100 people, a private airport and the Terravista’s calling card its 18 hole golf course, one of the most renowned and challenging golf courses in Latin America. 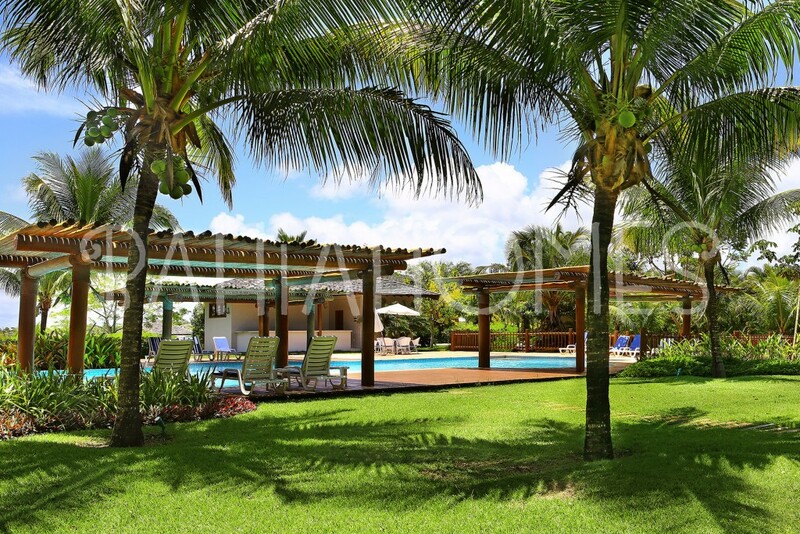 Located 10 minutes’ drive from the Trancoso Square, Terravista is an oasis of tranquillity, comfort and privacy. 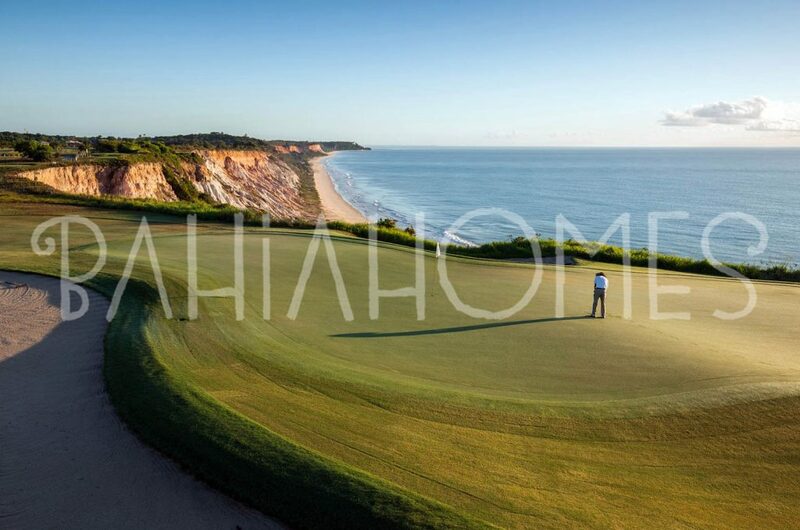 The Terravista Golf Course, the 14th hole challenges the player to hit the shot over one cliff to another, with spectacular views of the sea. 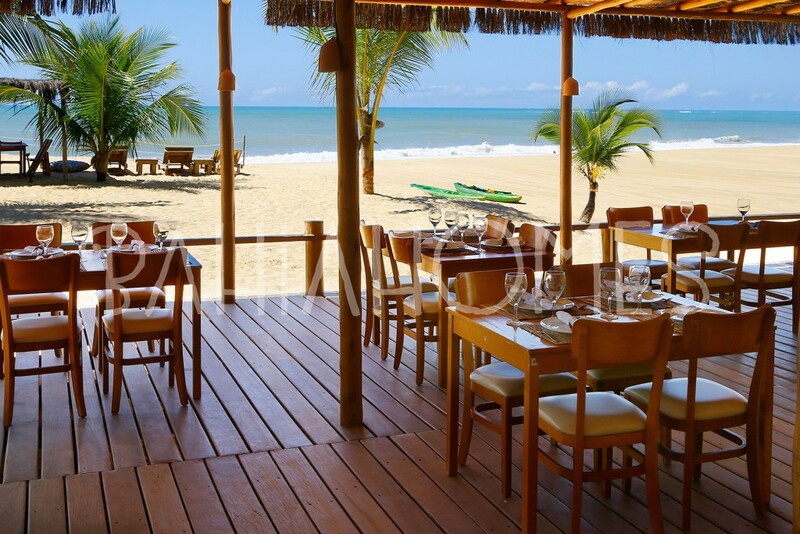 The Terravista Restaurant Praia do Rio da Barra offers a menu with dishes inspired by French and Brazilian cuisine. 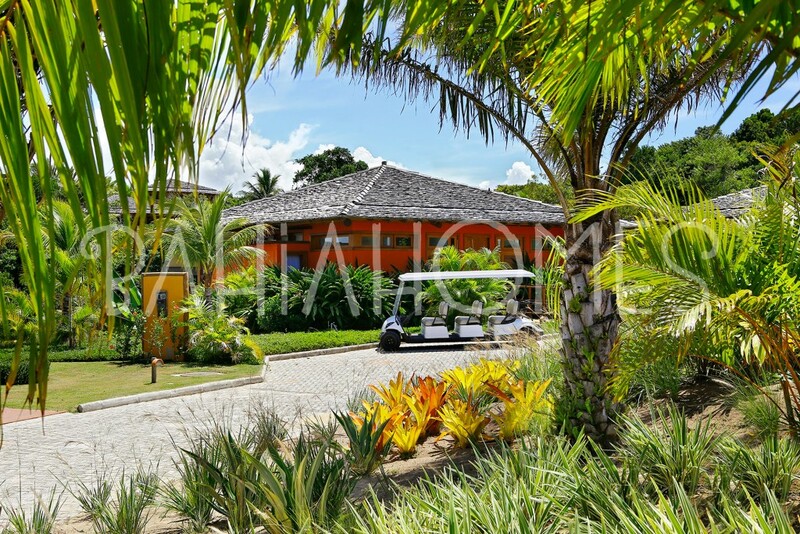 When the option is to enjoy the beach, just get a golf cart, follow the trail and relax in front of the beautiful sea of Trancoso. 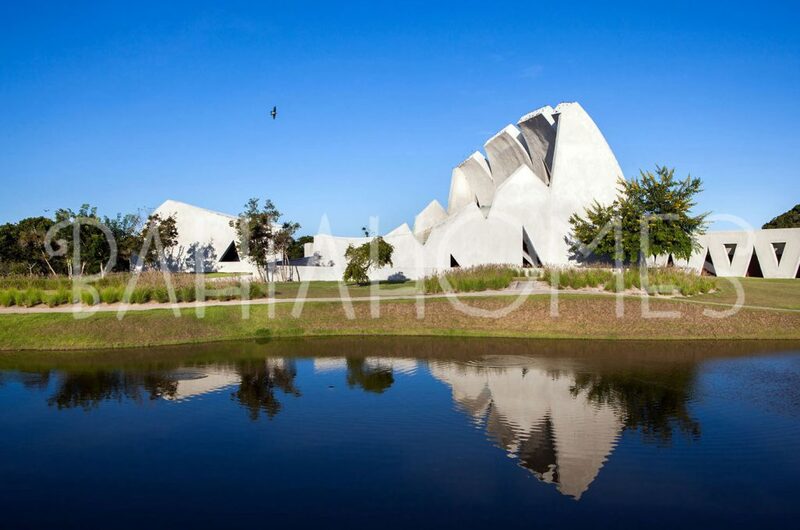 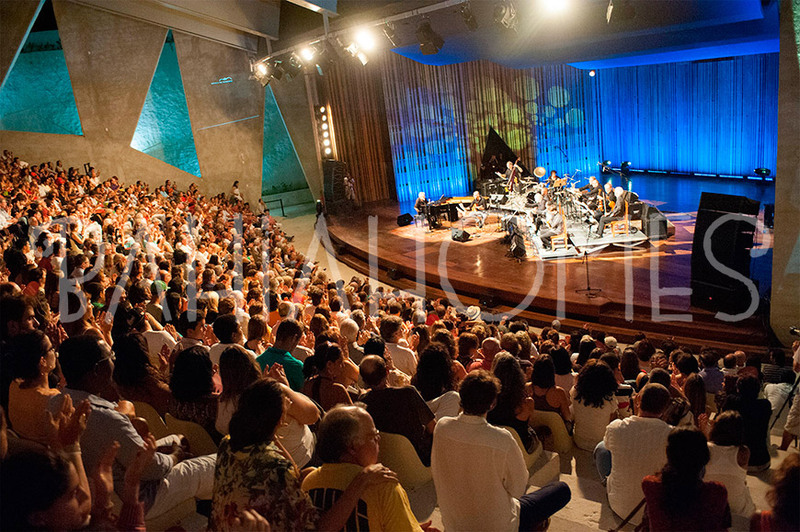 With a capacity of 1100 people in the internal area or open air, the Teatro L’Occitanne is the scene of one of the most important international music festivals in Brazil “Música Trancoso” staged in March. 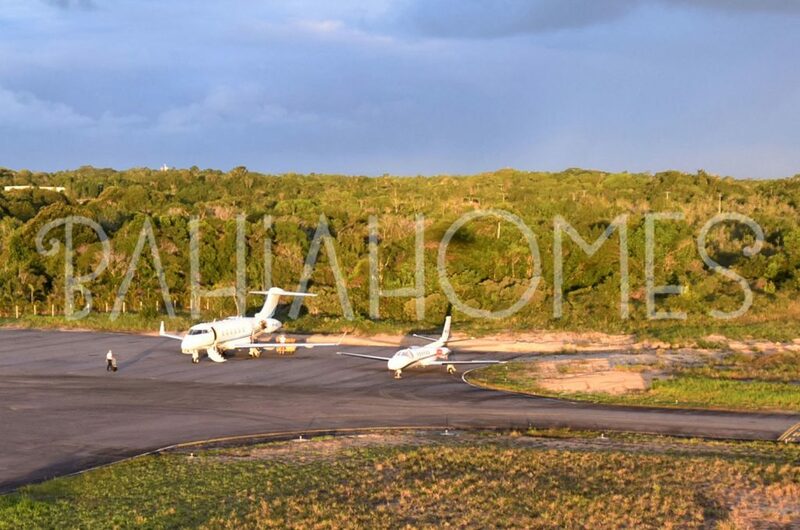 The Terravista Airport with its 1500 meter runway is able to receive business jets and mid size charter flights. 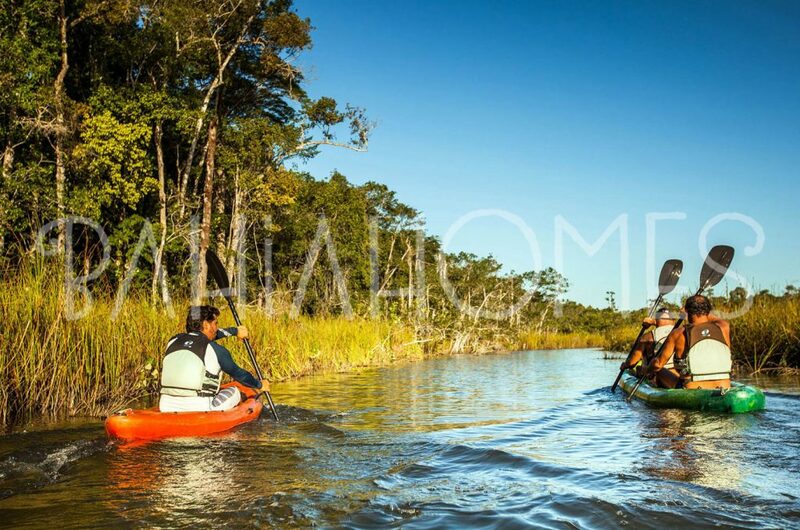 The beauty of the region is the perfect invitation for boating, 4x4s off-road adventures, cycling and hiking. 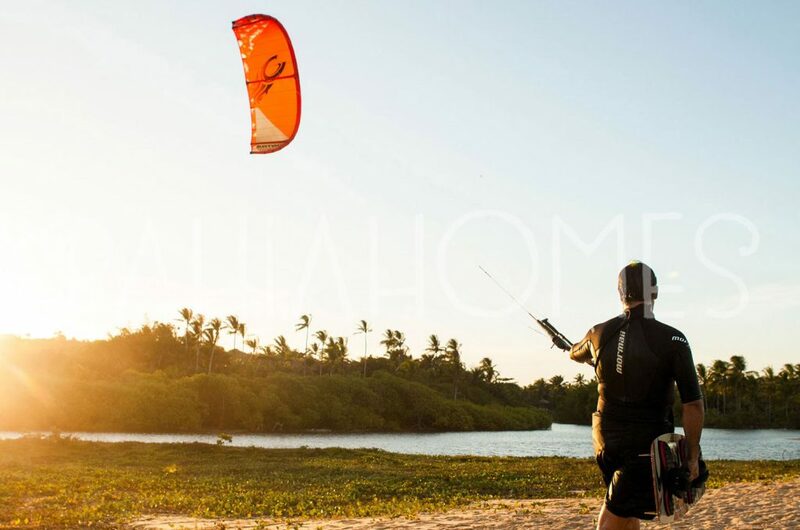 Alternatively, you can practice water sports such as kite surfing and stand up paddle. 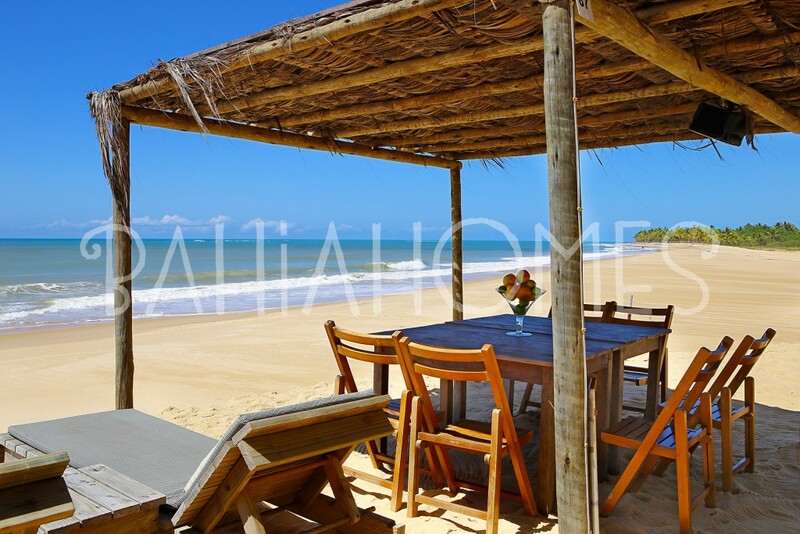 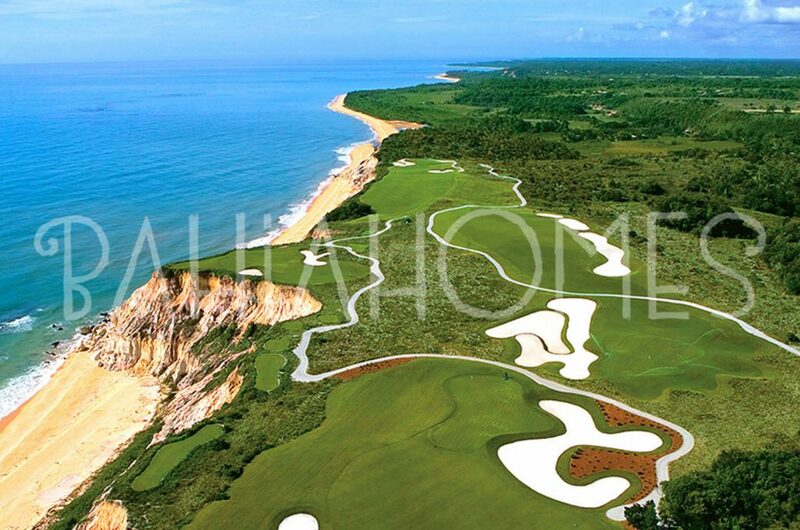 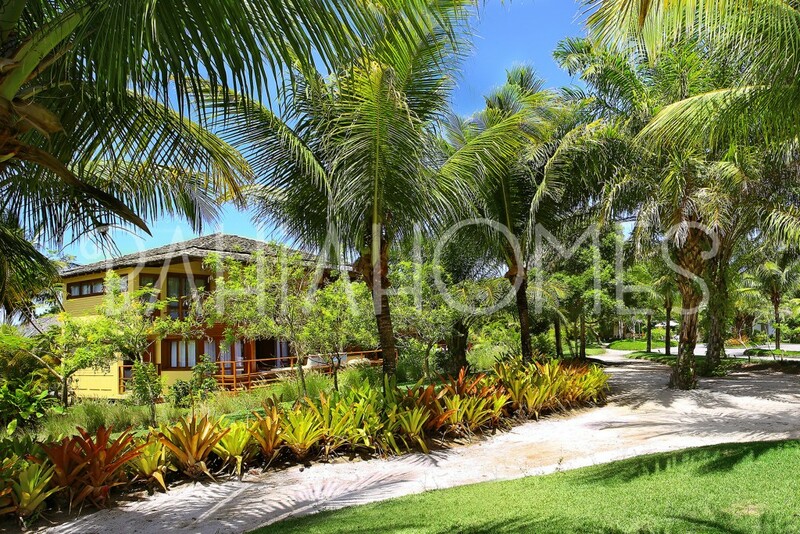 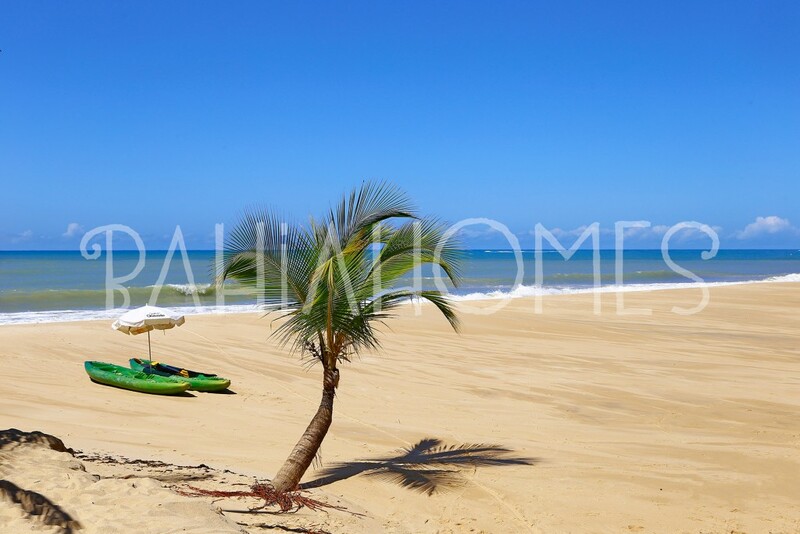 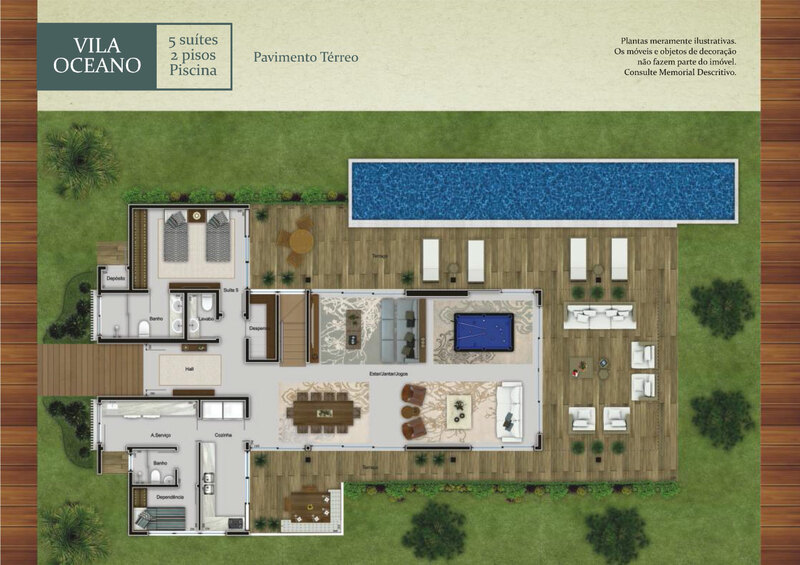 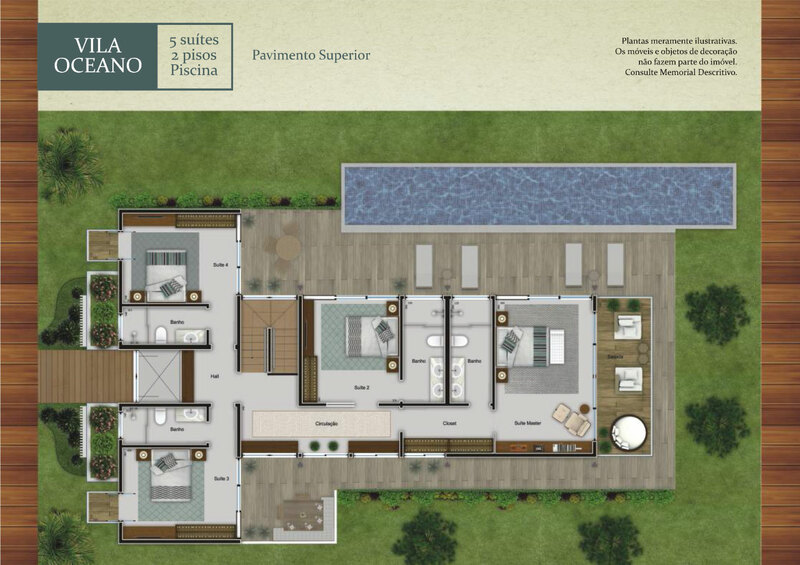 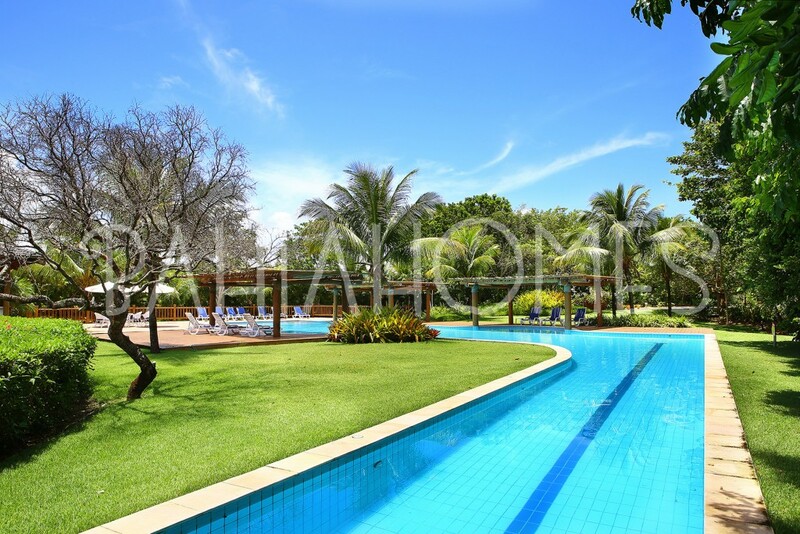 OWNING A HOME IN TRANCOSO IS A GREAT INVESTMENT. 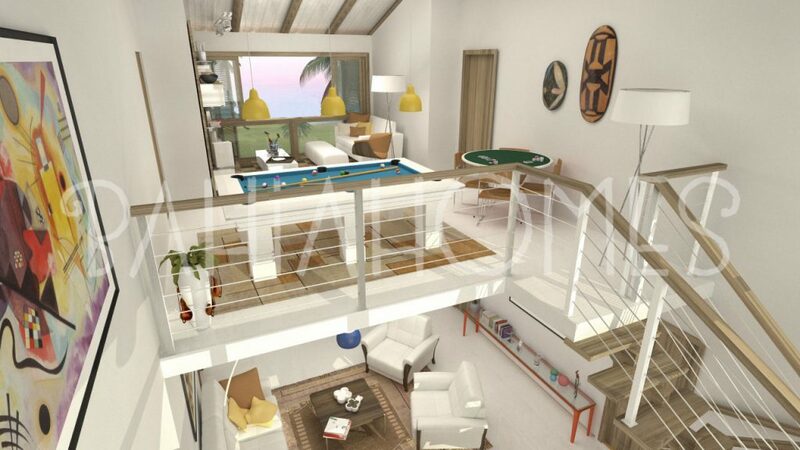 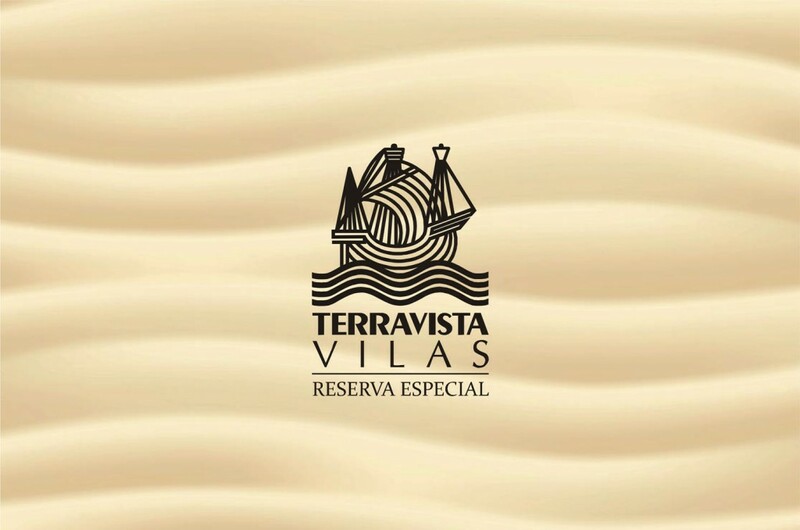 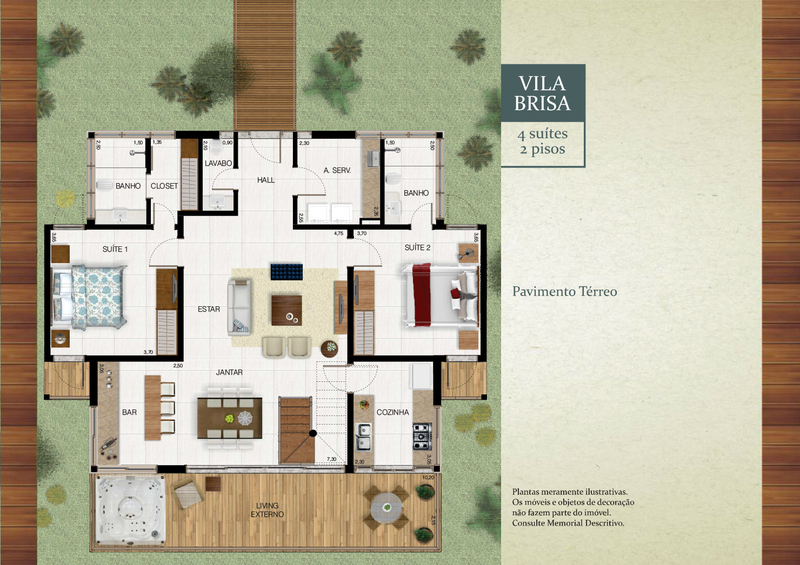 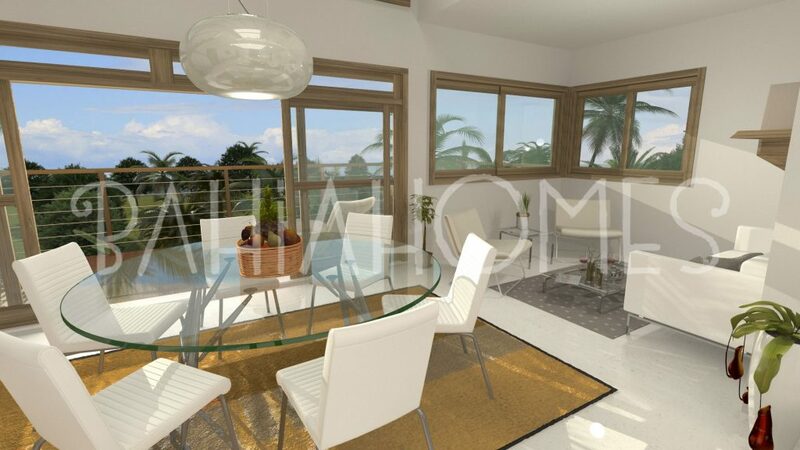 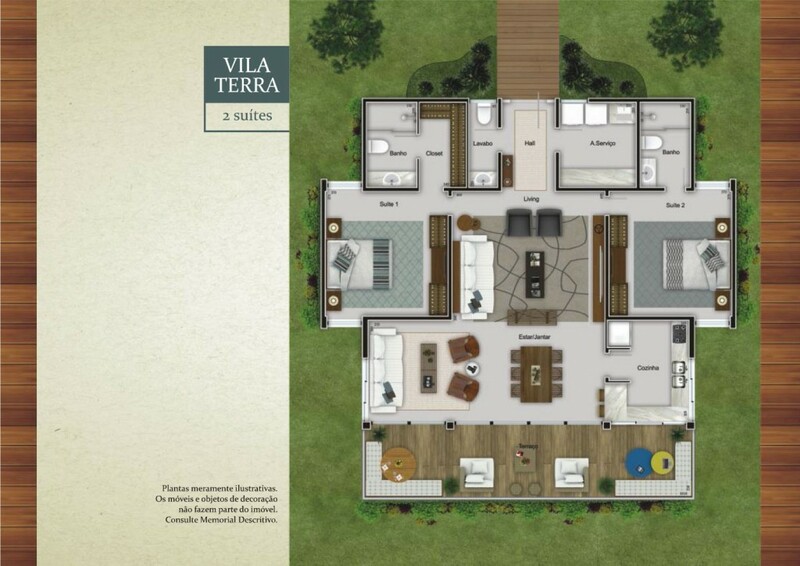 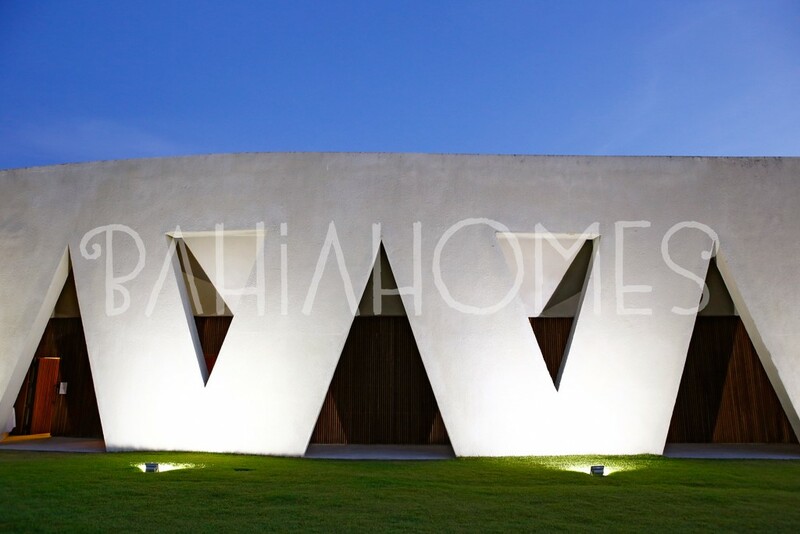 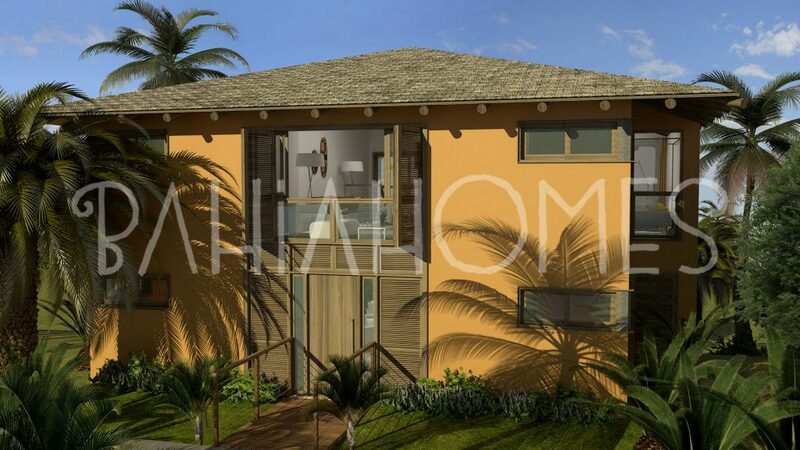 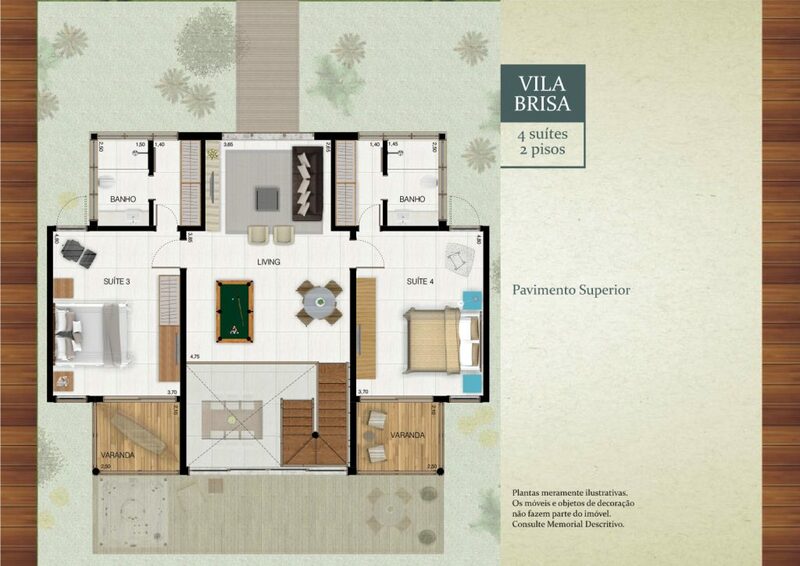 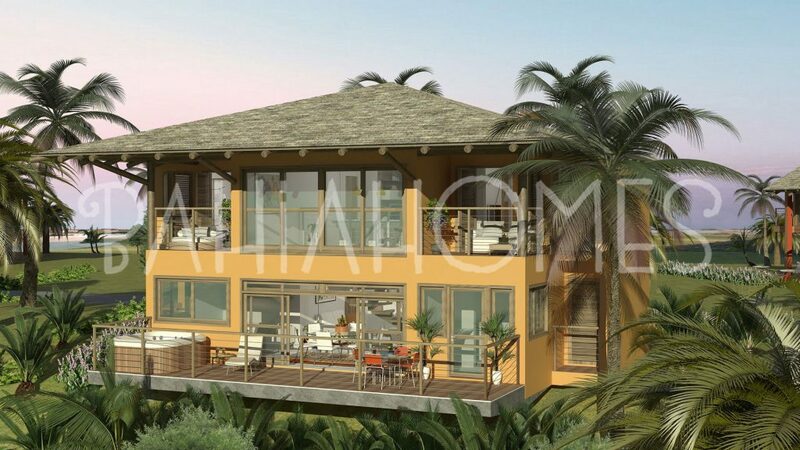 The Terravista Villas Special Reserve offers three architectural designs of Villas: TERRA, BRISA and OCEANO. 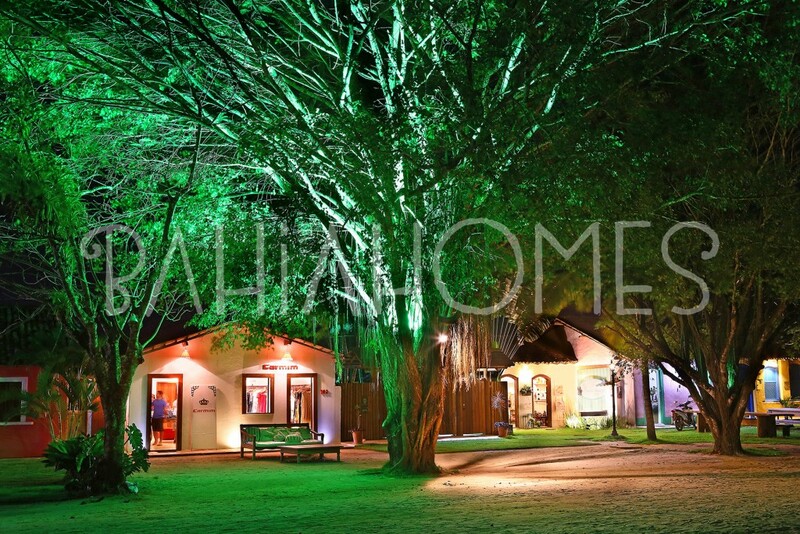 All in a rustic chic style, the villas have in common, generous spaces, generous openings integrating the external and internal environments, the warmth of wood and large roofs. 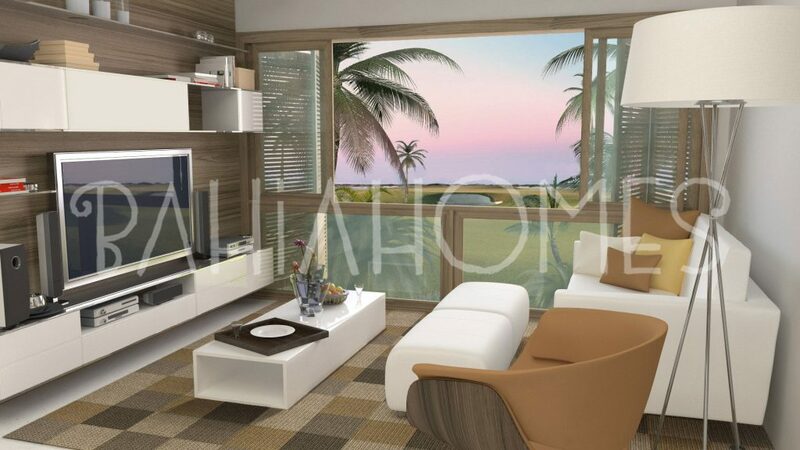 The details are designed to provide uncluttered and yet sophisticated environments. 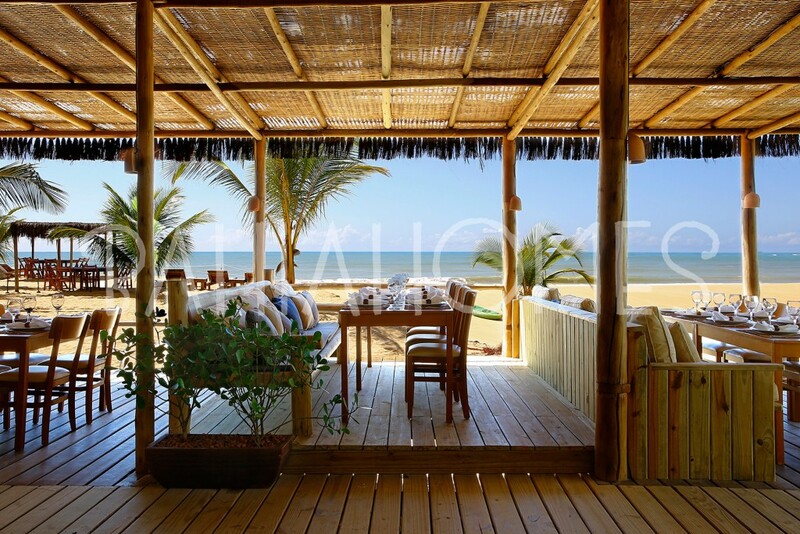 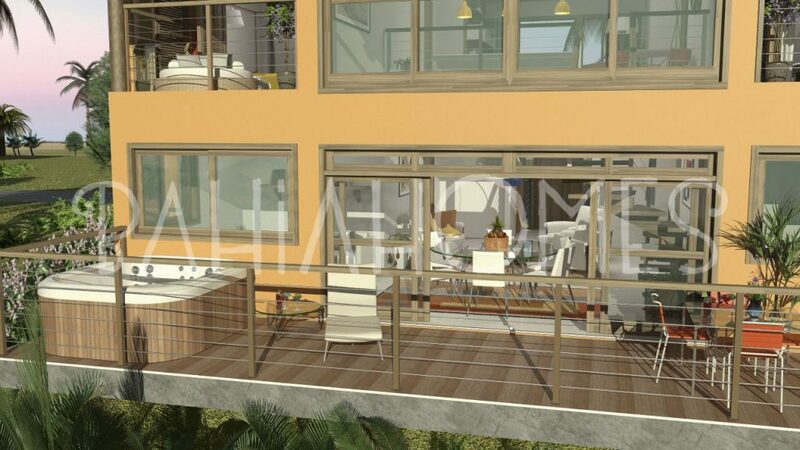 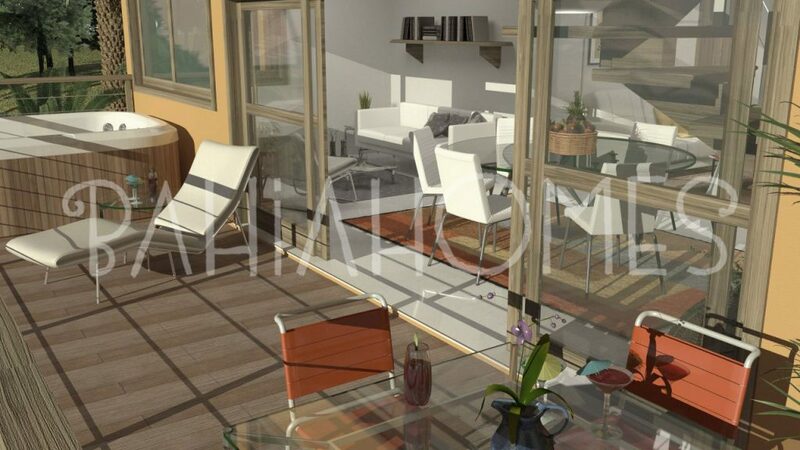 The owner can also hire the services of pre-selected interior designers, such as the well known Jacaré do Brasil, and receive their house furnished and equipped. 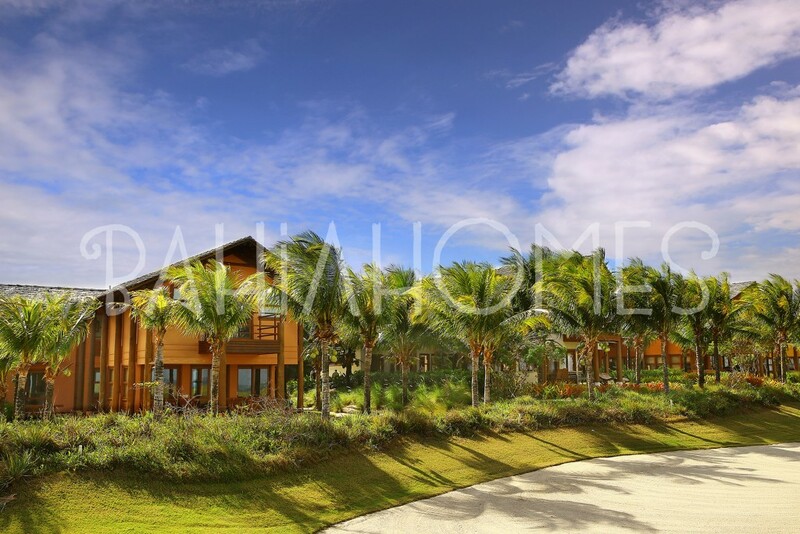 The Terravista Villas Special Reserve prevails with the Bahian spirit of hospitality and enjoyment of life.